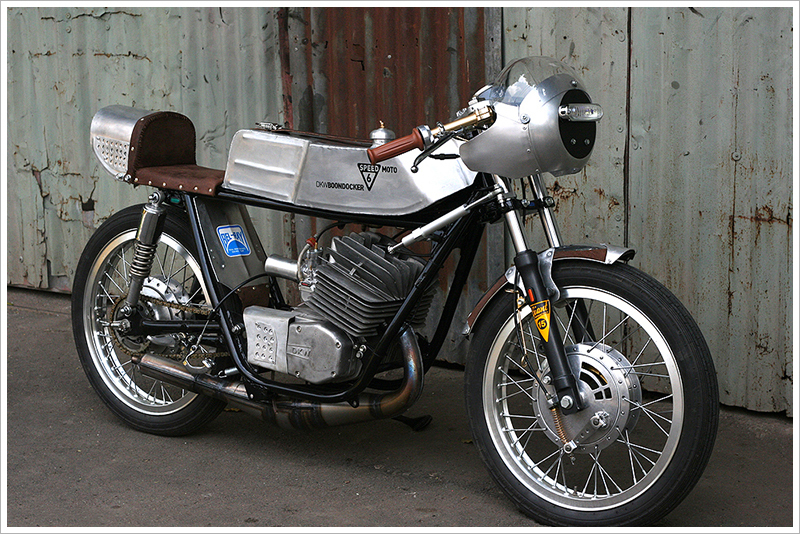 As mentioned, the engine that started the whole project came from a 1972 MX125 DKW Enduro and was in found in the original rusted frame and was in very bad condition. The frame unfortunately wasn’t salvageable but the engine definitely was. 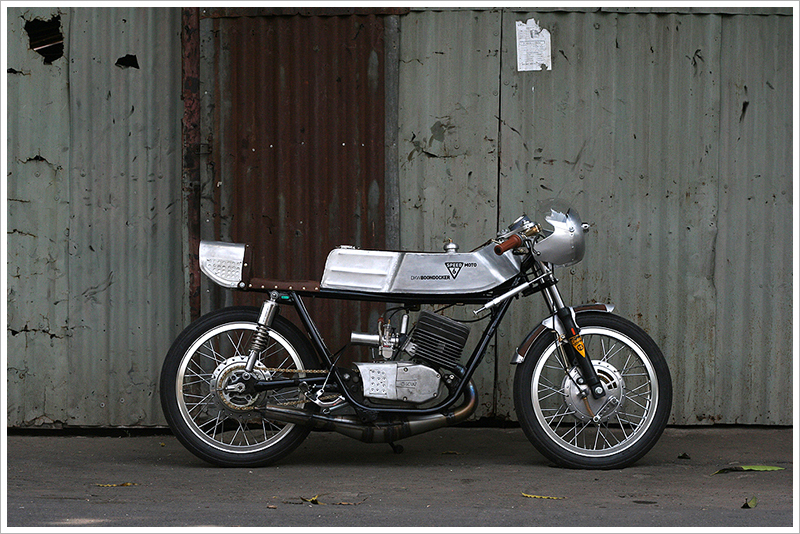 It was completely restored and then bored up from 125cc to 200cc to create a more racing engine. A new performance Koso 34mm carburetor was also added. 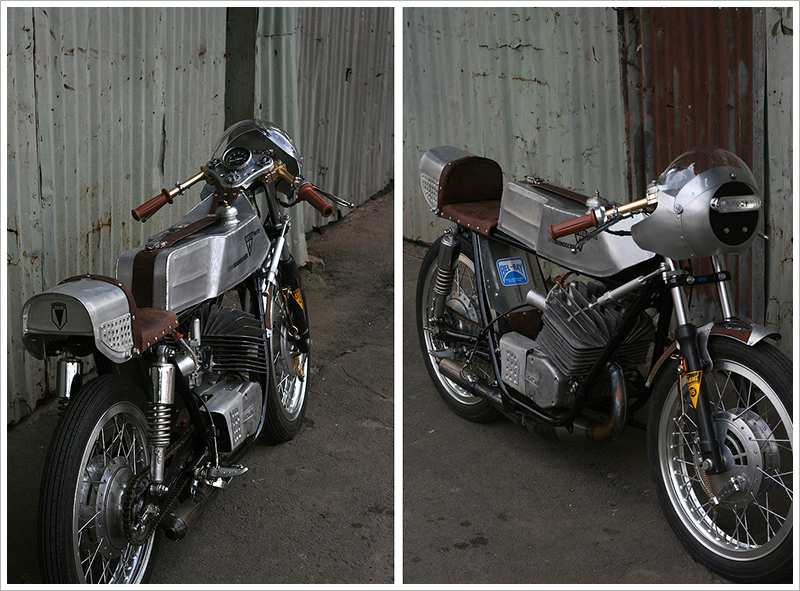 The reborn engine has been mounted in a Suzuki GT250 frame. For braking, Giant has opted for front and rear drum brakes from a Kawasaki Meguro. 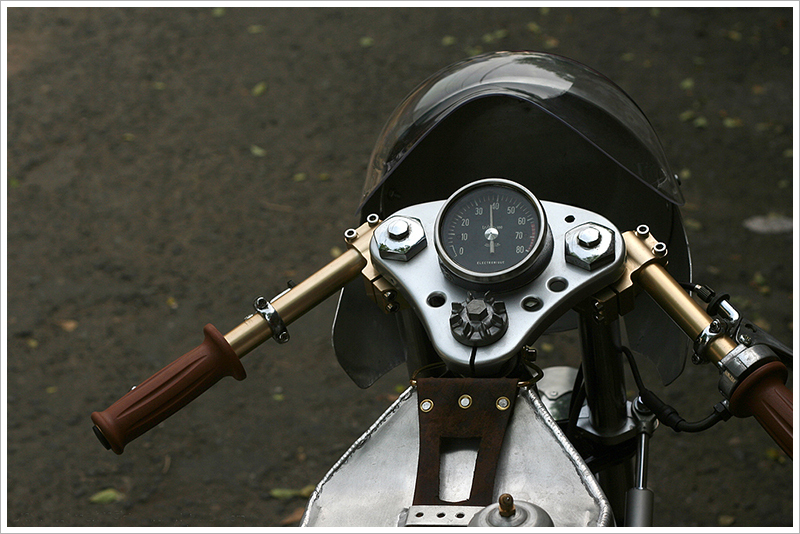 The vintage RPM gauge is from an old Citroën and has been mounted on a triple clamp from a Harley-Davidson Aermacchi trail. 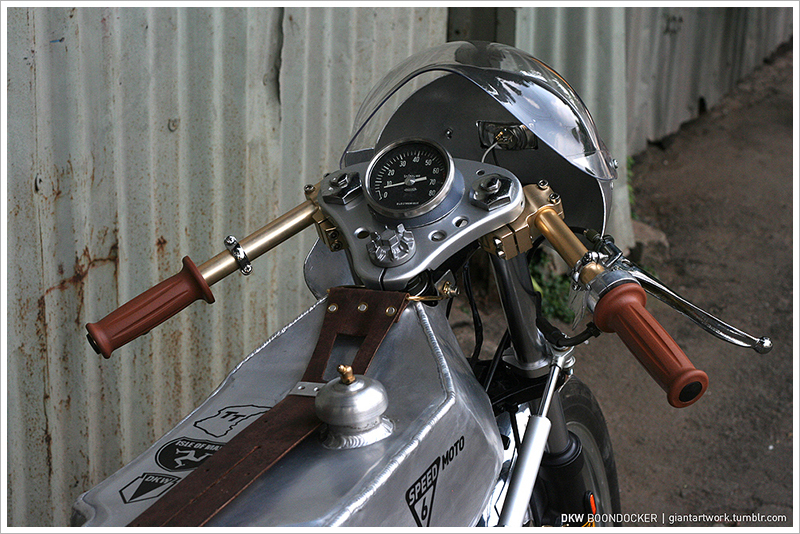 The pièce de résistance on this café racer has to be the tank and seat. 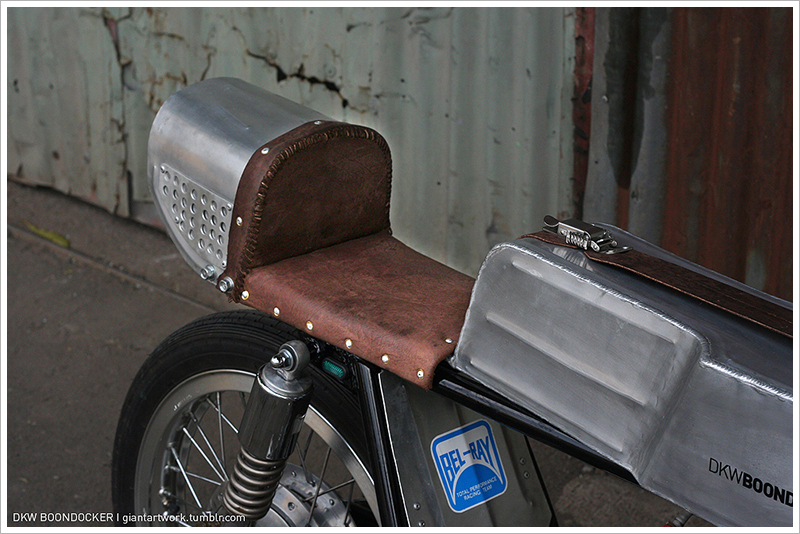 Just like the fairing, they have all been hand made out of aluminum alloy. 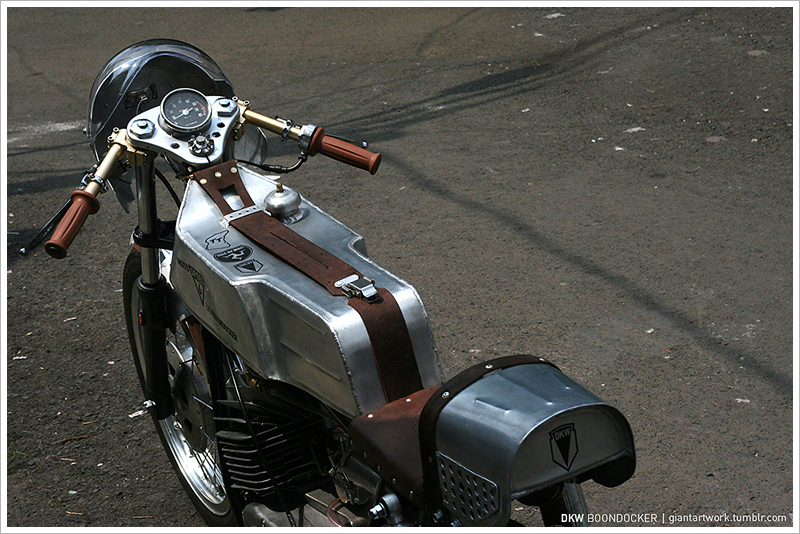 Giant chose classic gold clip-ons and brown grips on the handlebars. The seat has then been finished off with brown leather which has also been hand crafted. 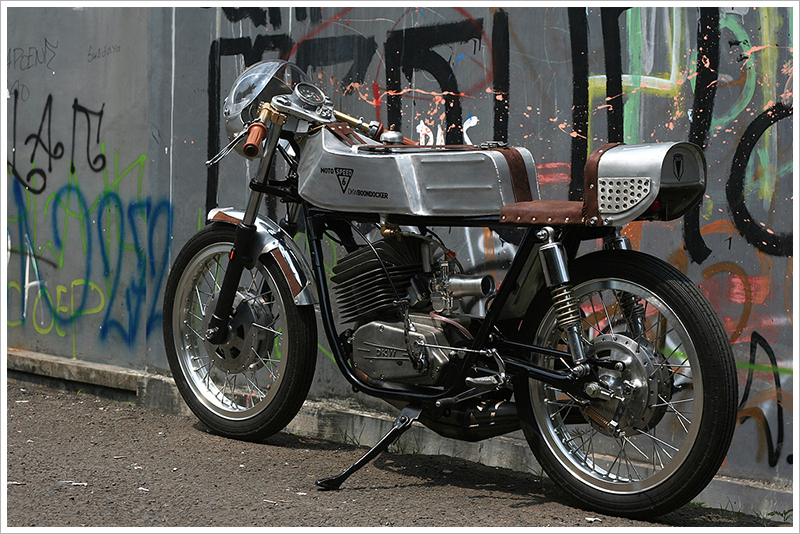 Giant and the guys from 15 Manifesto have built a real classy little café racer showcasing their creativity in true Indonesian style. The bike only weighs 145kg and with a bored out 200cc engine, we’re sure this bike goes just as crazy as it looks.